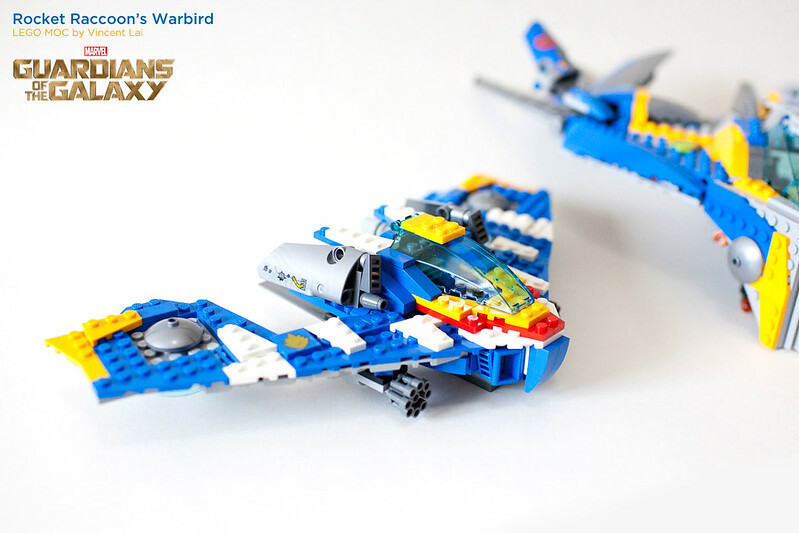 This is the real Warbird, which I took me quite some effort. I spent quite some time researching on the net, and found quite some photos of the spaceship Rocket rode on, but most of them were concept art, not the final version. And here it is, the final Warbird, which is part of the Ravager fleet. The wings are the hardest part since I really want to get the profile as close as the real thing possible. I am glad that it turns out great in the end. The back is also beautiful, with the twin engine jets. 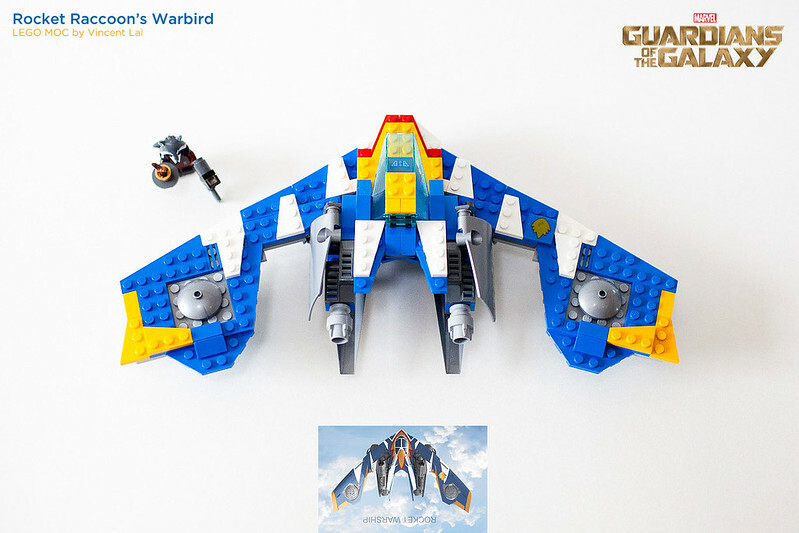 I also control its size by comparing its size to the Milano, taking the same ratio of the planes from the book and applying them to the Lego version. Really cool build! 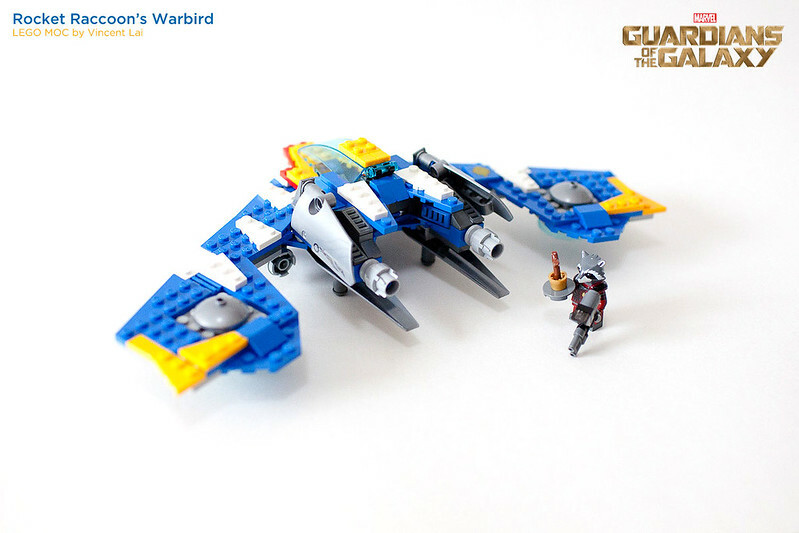 I'd love to see some more GOTG sets in the future, particularly this set! Nicely done! I actaully didnt realise Rocket's ship was smaller than others. That looks quite good! Nice job! I really like all of the thought and attention to detail you put into it. This is something I've been considering since I saw the movie last year. Thanks! I'm sure I'll expand the fleet when I have time! Haha! That's really well done! Are you going to put the plans up for others for others to use? Very cool. 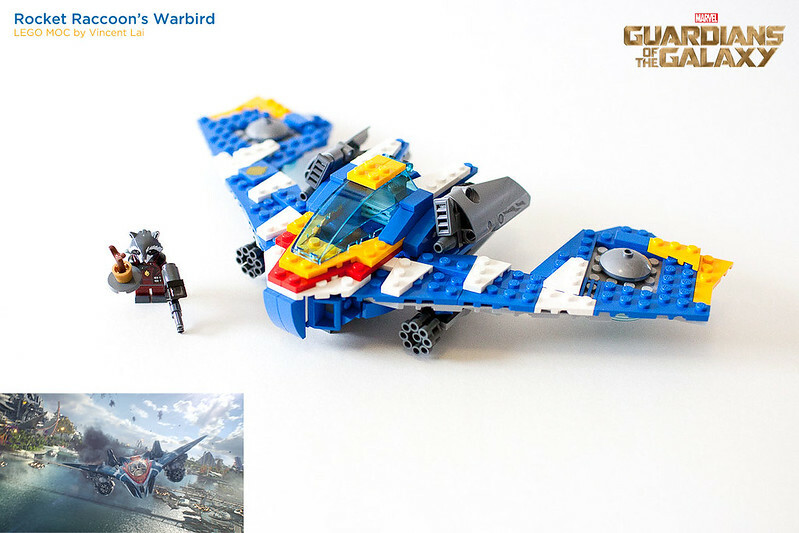 Watching GotG for the first time, I was bummed that Lego didn't do a proper Rocket's Warbird. Brilliant model. Far better than the SDCC exclusive. Just came across this build and absolutely love it! I don't suppose you have instructions, lxf or even just more pictures/info on how to build it? Sounds like you really did you research! The end result is awesome. Good stuff!